Welcome to Norway — unless you are a Jew. Seraphic Secret has written here and here about Norwegian films we admire. But we also recognize that Norway is one of the most anti-Semitic countries in the world. One has to wonder about the national character of a land where Jews and Israel are demonized, and IslamoNazis are given a pass. Here’s a fascinating article about the Jews of Norway by Leif Knutsen from The Times of Israel. In the cold, dark mist of the afternoon of Nov. 26, 1942, the SS Donau sailed out of the Oslofjord with 532 unwilling passengers. They were Jews, robbed of all their earthly possessions, kidnapped and imprisoned, on their way to the Polish port of Stettin, from which they would be transported to Auschwitz-Birkenau. All but nine were murdered there. There were other such deadly transports before and after, but the Donau was the largest. In the early fall of 1942, there were about 2,100 Jews in Norway. Of these, about 780 were killed in the Holocaust. Norway’s Nazi occupiers initiated the genocidal program as directed by the Wannsee Conference, but it was the country’s Quisling regime, aided by Norwegian ”security police,” that implemented it: Only after the Jews had been brought to the pier in Oslo were they delivered into German custody. 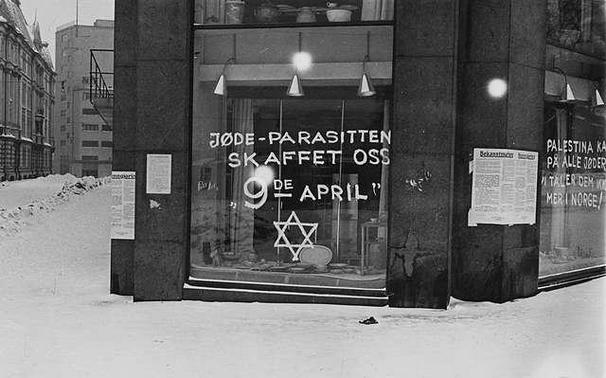 With a few brave exceptions, most Norwegians stood by as their Jewish neighbors disappeared. Those Jews who had the means fled and found temporary homes, primarily in Sweden, but also in the United Kingdom and elsewhere. A disproportionately high number of Norwegian Jews volunteered for military and clandestine work for the Allied war effort, which they served with distinction. Following the war, it took several years for Norwegian Jews to return to their country. The much-heralded White Buses program did not compile or present a list of Jewish Norwegians to Himmler or camp commanders, and those few Jews from Norway who walked out of the camps had to find their own way home. Many of the stateless Jewish refugees who fled to Sweden in the 1930s were refused re-entry into Norway after the war. Others were reluctant to attempt to reclaim stolen property or rebuild a community in shambles. Many families have yet to return, and probably never will. Oslo and Trondheim’s synagogues and Jewish community centers are among the most heavily fortified buildings in Norway. There will be no justice for this victim. Anders Behring Breivik murdered 77 people. This judge was immediately removed from the case. Welcome to the most anti-Semitic country in all of Europe. Norway should be renamed: Quislingway. Jew-Hatred is the antidote for, well, everything. Economy in trouble? Blame it on the greedy and manipulative capitalist Jews. Got nasty crowds fomenting revolution in the streets? Obviously the work of Commie Jews. And when there’s a wave of rapes committed by Muslims what could be more natural than to blame the Jews. But the Norwegians are far too civilized to stoop to classic Jew-hatred. Instead, they blame Israel. Because scapegoating the Jewish State has become the accepted Jew-hatred of the new, post Nazi Europeans. Let’s go to the videotape. Notice that the politically correct Norwegian teleprompter readers never identify the rapists as Muslim. Instead, they disguise the truth with euphemisms like “men of non-Western backgrounds.” I assume that the Norwegian public is sitting at home trying real hard to ID the mystery rapists and being completely stumped. 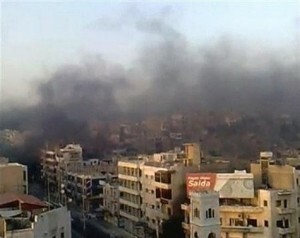 The city of Hama under attack by the Assad regime. As Seraphic Secret predicted, the Norwegian massacre is being blamed on Israel by various elements in the Muslim world. Before too long this delusional narrative will gain traction and become another blood libel against the Jewish people set in stone. At this very moment Syrian dictator Bashar al-Assad is mowing down his own citizens in the streets of Hama. Bashar’s father, Hafez al-Assad, slaughtered between 20,000 and 40,000 people in Hama in 1982. Notice: there are no flotillas or flytillas to Hama from so-called Human Rights groups. Because these Human Rights groups have no interest in Human Rights. The only cause they support is the destruction of the Jewish State. International Human Rights is reliable code for incipient genocidiers of the Jewish people. Yesterday, Seraphic Secret predicted that Israel/Jews would be blamed for the massacre in Norway. Not a hard call if you are familiar with the religious culture of hate that permeates the Muslim world. In today’s edition, The Daily Star, a Lebanese newspaper, delivers a blunt salvo in this Jew-hating conspiracy theory which will spread and gain acceptance throughout the Muslim world. Keep in mind that Lebanon, just a few years ago, was in the throes of the Cedar Revolution, a pro-Democracy movement that brought millions into the streets. The Cedar Revolution succeeded in putting an end to 20-years of Syrian occupation. But Syria left beind a ruthless security apparartus. The result is a Lebanese regime controlled by Hezbollah, genocidal-yearning terrorists financed and controlled by Iran. The terrorist act committed by a right-wing extremist, who supports Zionists in Norway, is additional proof that the culture stemming from the Zionist enemy, or ideas that support it, is deeply tied to the racism of its leadership,” a statement released by the party said. 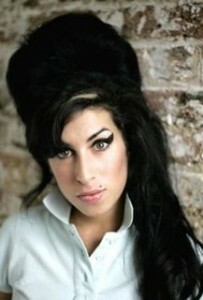 And how does Amy Winehouse, the 27 year-old singer who died a few days fit into this picture?